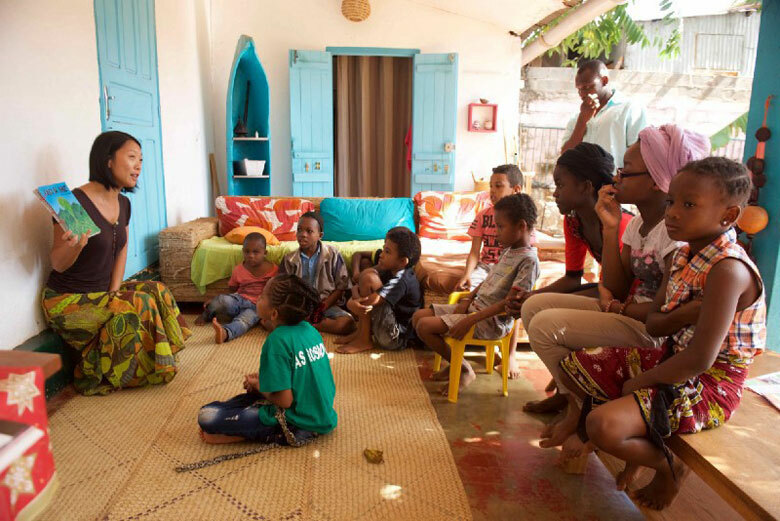 In a Mayotte neighbourhood, a children’s group helps build new bonds in the community. My name is Alexandre. This is Shirley. We live in a neighbourhood in Mayotte. When we moved to this area we saw right away that there was a lot of diversity. There were some well to do families and some who were less well off. There were families from the Comoros and from Grande Comore, Don Juan. Some of them had their papers in order; others did not. We were invited to traditional festivals on the street, but other families were not invited. Children in the neighbourhood would get into fights and the parents would try to intervene. All of this gave us the idea of starting a Tapori group with the neighbourhood children. We wanted to do this partially to build more friendship between the children, but also because we felt that solidarity among the children could help parents get to know one another. We felt that through the Tapori group they would find a way to be proud of what their children did and to feel valued in the community. So, we ran a Tapori group once a month in our home. We’ve run it for a year now. We decided to do it at our place for a number of reasons. For starters, we are foreigners here. But also our house is in the middle of the street, so it’s really a neutral place to bring children from the neighbourhood together. Today, after a year of running this Tapori group, we can see some small changes occurring. They’re really small, but they encourage us to continue to run the group. The small changes come through new connections that are being forged between kids and parents in the neighbourhood. For instance, we noticed that there had been groups of women that did not get along with one another. One of these mothers has begun to greet and talk with the women on the other side of the road. She wouldn’t have done this before. Alexandre and Shirley talking about their experience in Mayotte.